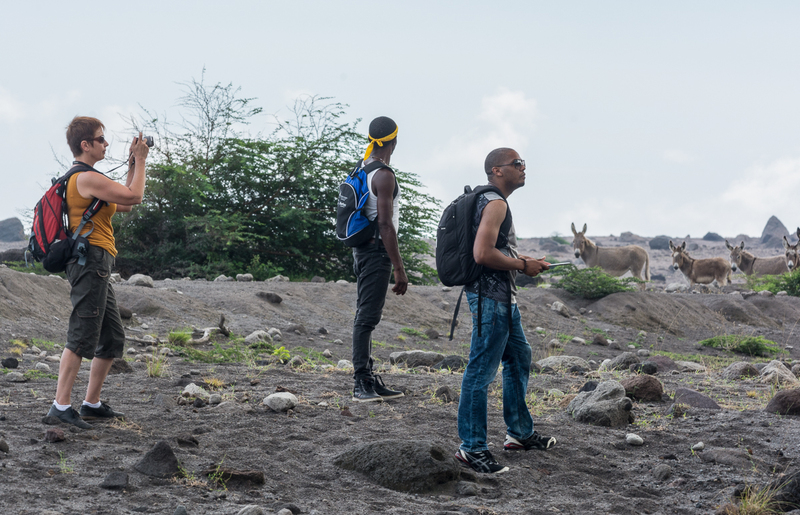 Life on this beautiful island was changed forever after series of volcanic eruptions on Soufriere Hills in the mid-1990s. Two-thirds of the island was destroyed including Plymouth -the capital town buried by a 40-feet thick layer of lava and volcanic debris. photographing Volcano from St Joseph’s hill – the closest possible high located point, already in the dreaded zone V.
Nineteen people lost their lives, eight thousand were forced to leave the island. 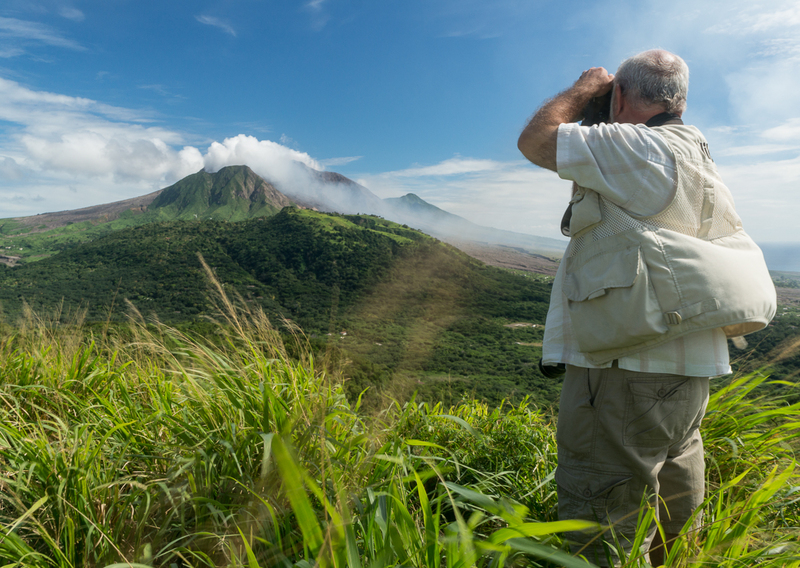 Today, the volcanic activity is closely monitored by the Montserrat Volcanic Observatory with state of art facilities. Life is concentrated in the “safe zone” up north, where a new capital town is been constructed, and a new airport and marina recently opened. 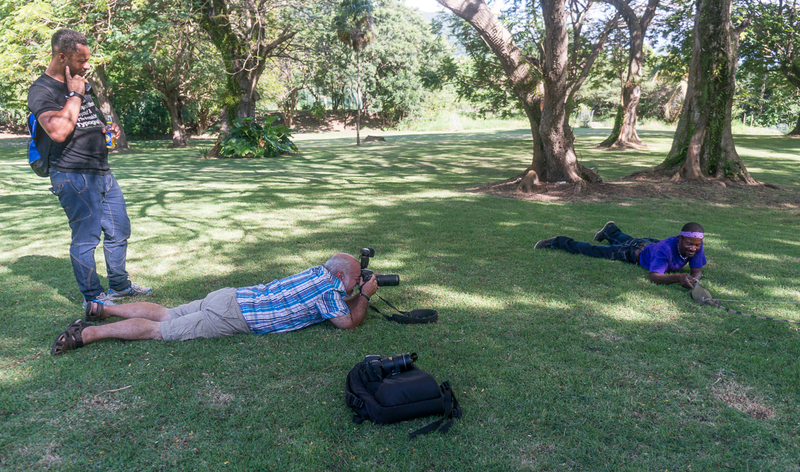 Government’s renewed focus is on bringing new visitors to the island, and we were part of a creative international team working on a new promotion of the island, photographing it’s top attractions. 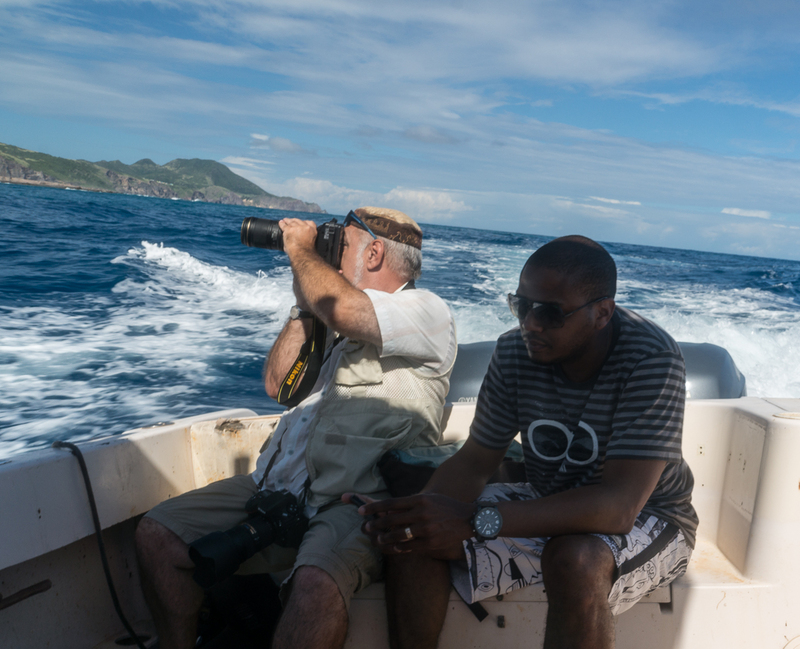 Along with the crew from London and Barbados, we were travelling island up and down, day and sometimes night, photographing and filming many different places. We are not at liberty to show you “official” photos, because they soon will be used in a major international promotion. However, we can share with you some photos showing us in action. We hope these will also give you a glimpse of this fascinating place…. 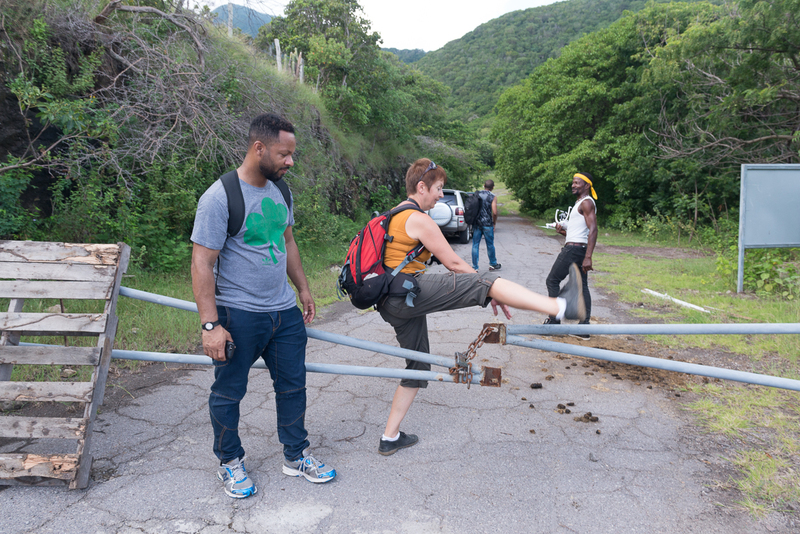 We hope to be back in Montserrat for some more work, and would like to thank MDC, the Tourism Director, our amazing hosts and Montserrat Government, for having us in this brilliant international team. Not only it was a fascinating work, but we all became good friends. We also thank you for stopping by at this post. Until next time – and Happy New Year to you! If you like this post, Share and Like it, or Follow to be updated on further stories. Cheers! 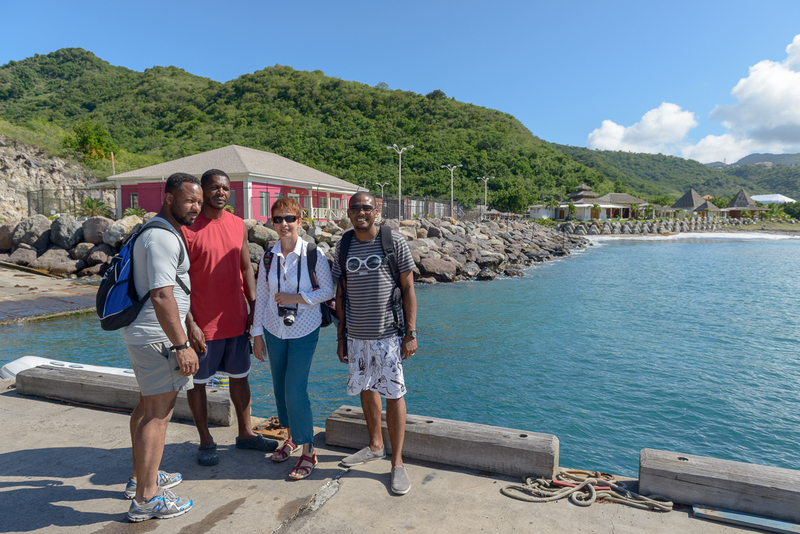 Margaret with our boatman after boat tour, along with Patrick and Mark from our creative team. Written by Margaret Gajek, photographs by Derek Galon and Margaret Gajek. Please respect the copyright. When we visited this fantastic garden two years ago, it was absolutely beautiful. The garden, freshly saved from destruction and full of history, thrived under capable hands of Jeff de Jong and his team. Just recently we heard of staff changes, and were curious how did it affect this beautiful place. Still under management of The Land Conservancy BC, which – along with many donors – saved the garden from destruction, it recently saw Jeff moving away to other tasks. We were thrilled to see that this change did not affect the garden in any bad way. 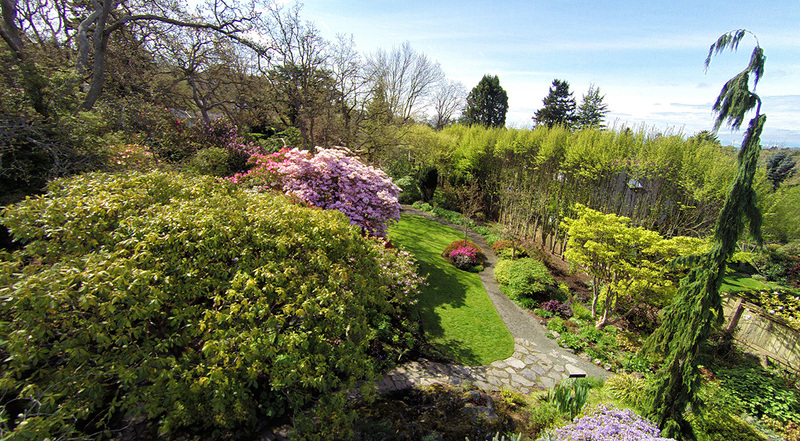 The garden matured beautifully, and now in spring colours, it is just a perfectly maintained, magical place. The manager of the Tea House, Mr Page, oversees the day to day operations, which seems to work perfectly. A man of a considerate charm and skill, he was very helpful and informative. The Tea House itself makes for a perfect ending of your garden visit. Our previous post tells the love and life story behind this garden, and shows quite a few photographs. Therefore for this post, we have a special treat for you. Instead of writing more, we present here an aerial video! 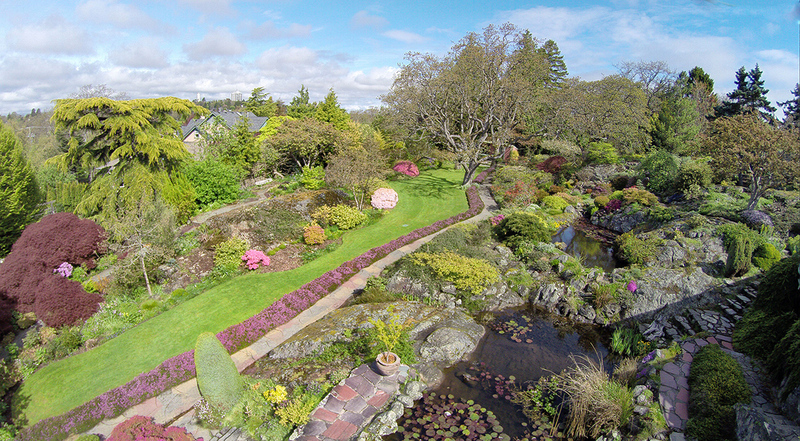 Titled “Flying Over Abkhazi Gardens and Tea House” it tells its story with a 5 minute video clip created using Phantom 2 flying camera quad-copter. 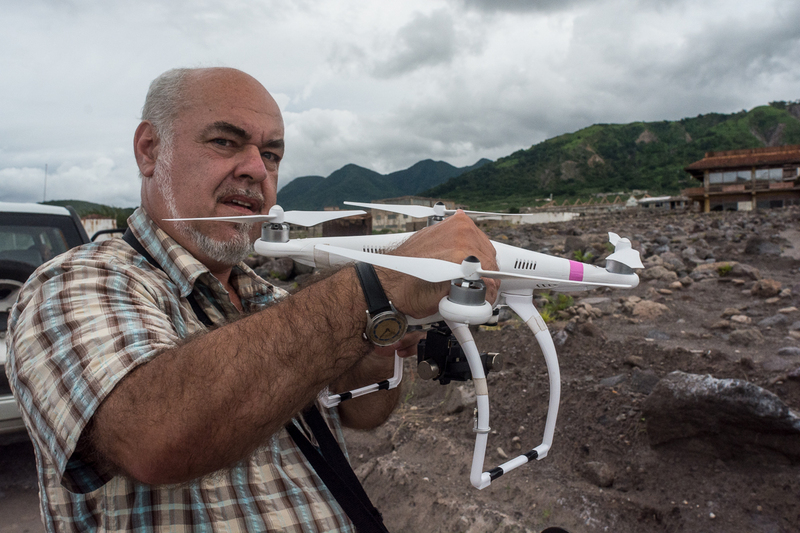 These few photos presented here are also aerial shots using the same system. 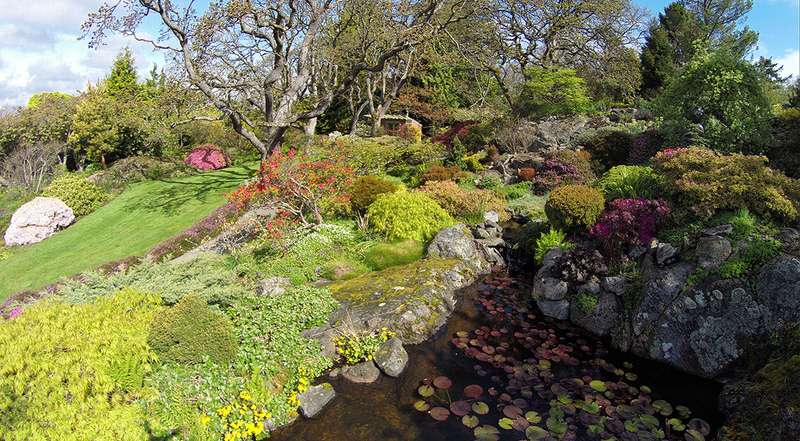 We hope you enjoy these, and when in Victoria, you would consider visiting this splendid place! Thank you for stopping by, and as always – if you like it, please click Share or Like buttons. And of course Follow us, to be first to see our next post. Photos and video are copyright Derek Galon, Ozone Zone Books. Please respect our copyright.